The Last Thing On My Mind is the second album by Austin Roberts, released in 1973. 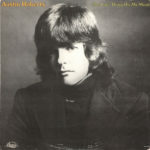 Austin Roberts (born George Austin Robertson Jr., September 19, 1945) is an American singer and songwriter. His most successful recording was 1975’s “Rocky”; a transatlantic Top 40 hit single.